Parable - Don't shoot the messengers. Pastors preach. Evangelists proclaim. Prophets reveal. Apostles profess. 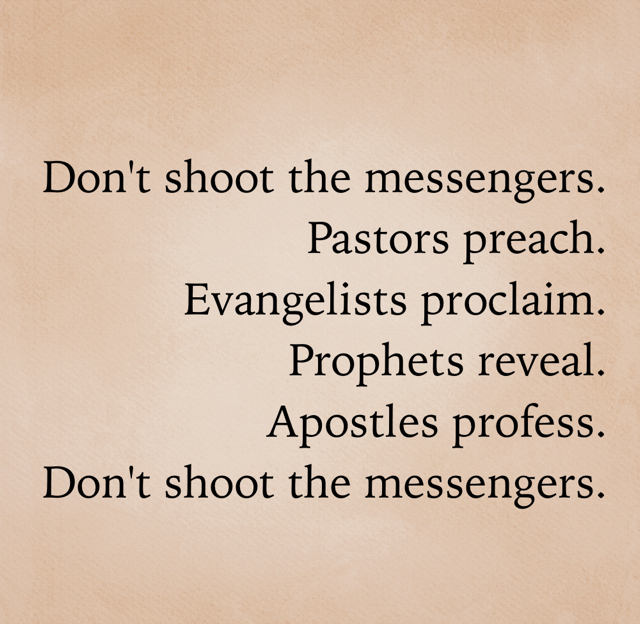 Don't shoot the messengers.